Early this week, San Francisco residents voted to ban the sale of flavored tobacco products, including menthol cigarettes and flavored vaping liquids. With 99 percent of precincts reporting on the vote, 68 percent voted in favor of the ban and 31 percent voted against it. This has been a longstanding -- and expensive -- issue for the city of San Francisco in recent years, as tobacco company R.J. Reynolds contributed nearly $12 million against the proposition. Former New York City Mayor Michael Bloomberg also contributed more than $3 million in support of it. “People really have a big dislike and big distrust for Big Tobacco companies and are not fooled by propaganda and tactics,” said Gil Duran, the spokesman for Campaign Yes on Proposition E.
The legislation was largely supported by public health advocates who believe that flavored tobacco products are appealing to younger generations and could begin encouraging them to use tobacco. 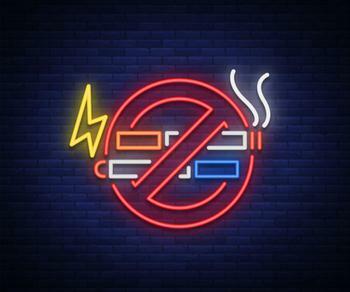 A number of public health organizations, including the American Association, American Cancer Society, and American Lung Association, supported the ban, citing their dedication toward protecting the health of the next generation. However, not all of San Francisco’s residents were happy about the vote. Opponents fear the proposition could take business away from local convenience stores and could potentially become more wide-reaching than just San Francisco. “Telling adults what they can and can’t do isn’t effective,” opponents stated in an argument to voters before the election, noting that California recently just raised the age to buy tobacco to 21. While the San Francisco vote is considered a win by many, the battle over e-cigarettes -- and the ban of flavored tobacco -- certainly isn’t a new one. City Council members in nearby Oakland, CA decided to ban the sale of flavored tobacco products late last year, with the ban becoming effective mid-2018. Other Bay Area cities passed similar legislation, including Berkeley, Los Gatos, Palo Alto, and Santa Clara County. Moreover, a recent study by researchers from six continents asked legislators to ban flavored versions of e-cigarettes, as well as corresponding advertisements. The group cited growing concerns over teen addiction and future health problems as the primary reasons for proposing legislation.